Waterfall Info: This is the lower waterfall on Goldmine Creek/Branch. The waterfall is quite tall but also long with many tiers. It's best to visit during periods of high flow. 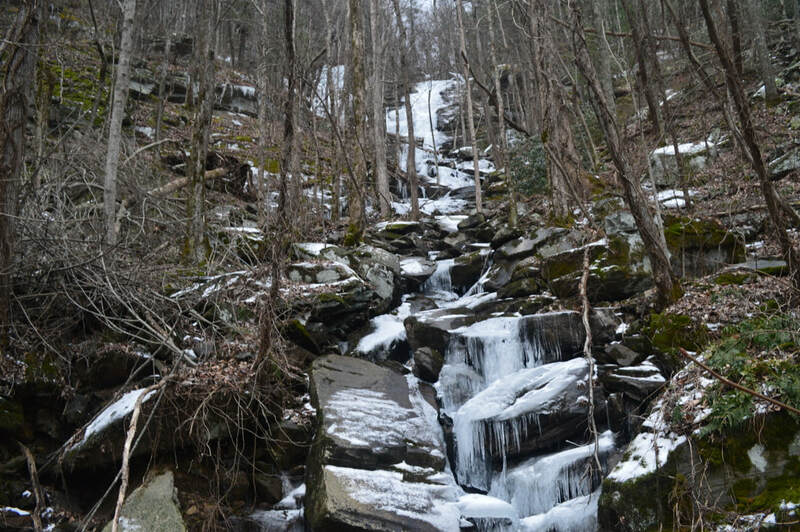 Access Info: Reaching Lower Goldmine Creek Falls requires a very steep and strenuous hike from Fort Mountain Lake along Big Rock Trail, Gahuti Trail, Bike Trail #301, and finally, Bike Trail #407. There are several mines and mining ruins in the vicinity of the waterfall that are worth seeing as well.